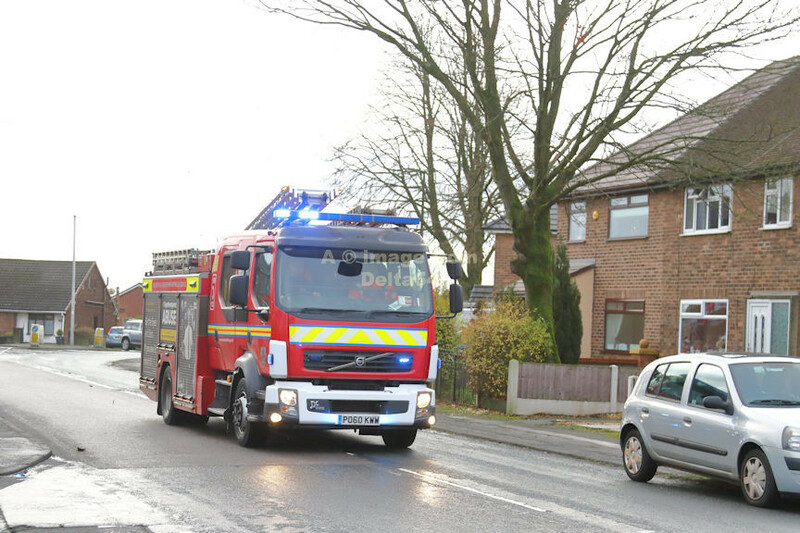 Volvo PO60KWW was seen approaching an incident in Daisy Hill, 29 December 2018. CSU MV54AYW was seen at a 16 pump fire in Withington, 26 April 2017. An Open Day marking the 50th anniversary of the fire station was held 9 July 2014. The stations 2 appliances at the time, were joined by MH04FJC from Bolton on the right.